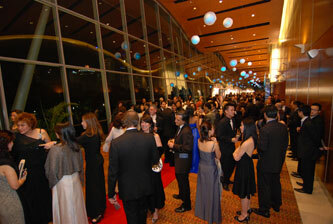 CONVEX MALAYSIA SDN BHD, as the managing agent of the KUALA LUMPUR CONVENTION CENTRE, provides meetings, incentives, conventions and event management services to both Malaysian and international customers. CONVEX’s objective is to support the long-term sustainability of the travel and tourism sector in Malaysia. However, we recognise that in providing the specialised services for this sector of business, there is the potential for environmental and social impacts by encouraging international and local participants to travel to our Convention Centre. In addition, some of our activities may pose a risk to the safety and health of the public, our employees, suppliers and contractors through physical, biological, chemical and other hazards created within our place of work and in the food we serve. It is our policy to identify those activities and services that have the potential to cause significant environmental and social impacts and/or create significant hazards and risks to the safety and health of the public, our employees, suppliers and contractors and to eliminate, where practicable, or minimise through treatment or other means, their impact or the risk they pose. Our approach to achieving sustainable outcomes starts with our commitment to complying with and exceeding, where practicable, the relevant Malaysian environmental and food, public and occupational safety and health legislation and other requirements set by the Federal Territory of Kuala Lumpur. Our overall objectives are to prevent pollution of the environment and to continually improve our environmental, social and safety and heath performance. We will set measurable objectives and targets in terms of environmental and social improvements related to our significant impacts using the Green Globe 21 programme which requires the setting of benchmarked performance standards and aim for the elimination of work-related injury and illness. 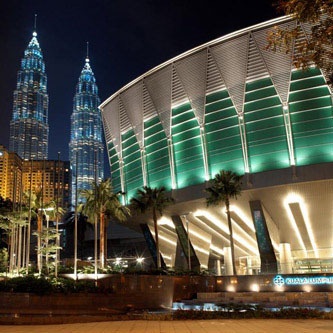 Situated at the centre of Kuala Lumpur’s Central Business District, Kuala Lumpur Convention Centre is the City’s most technologically-advanced, purpose-built facility for international, regional and local conventions, tradeshows, public exhibitions, entertainment and private functions. 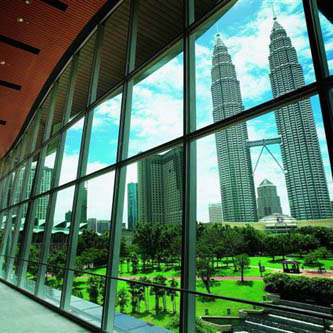 The Kuala Lumpur Convention Centre’s total function space is 20,059m . 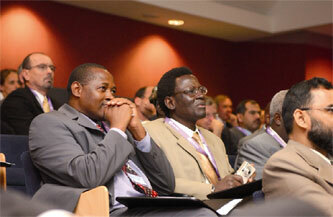 Inclusive of support areas and circulation space, the facility’s gross built-up area is 120,000m on a 7.3 acre site. World class hotels and several specialist boutique hotels are sprinkled within easy walking distance of the Kuala Lumpur Convention Centre. There are over 1,500 four and five-star hotel rooms on site and a further 11,000 rooms within 10 minutes of the Kuala Lumpur Convention Centre.